We Numax Steels, have immense pleasure in introducing ourselves as one of the leading Manufacturers,Importers & exporters of Flanges with high quality and carefully drafted quality control procedures as per ISO 9001 guidlines. 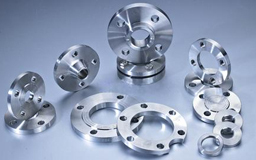 We are also suppliers, Stockist & Dealers of these stainless steel flanges manufacturer for the past several years to various domestic as well as international industries. 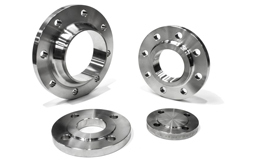 The Stainless Steel Flanges, Nickel Alloys Flanges, Monel Flanges have a great connectivity to pipes and have a long life in the refining industry for low to high pressure applications. A flange is a method of connecting pipes, valves, pumps and other equipment to form a piping system. It also provides easy access for cleaning, inspection or modification. 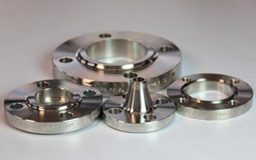 Furthermore, to meet the diverse requirements of various industries, we also offer these flanges in variegated sizes, grades and specifications. Class 150#, 300#, 400#, 600#, 900#, 1500#, 2500#, 3000#. Also as per the National & International Standard. Types of Flanges Weld neck Flanges (WNRF), Slip-on Flanges (SORF), Blind Flanges (BLRF), Lap Joint Flanges, (SOLJ), Socket-weld Flanges (SWRF), Screwed (Threaded) Flanges, Long weld neck Flanges (LWNRF), Spectacle Blind Flanges, Spacer & Blind Flanges, Ring Type Joint Flanges (RTJ), Reducing Flanges, Raised Face (RF) Flanges, Orifice Flanges, Deck Flange, Large Diameter Flanges, Custom Flanges, Drawing Flanges, Forged Flanges, Plate Flanges, Flat Face Flanges, etc. Stainless Steel Flanges ASTM A182 202, 304, 304L, 304H, 309, 310H, 316, 316L, 316H, 316Ti, 317, 317L, 321, 347, 904L etc. Conakry, Sri Lanka, Lagos, Yemen, Casablanca, Bahrain, Argentina, Azerbaijan, UK, Malaysia, Nairobi, Rabat, UAE, Dubai, Mogadishu, Giza, Kano, Oman, Venezuela, Luanda, Kaduna, Saudi Arabia, Thailand (Bangkok), Colombo, Port Harcourt, Omdurman, Morocco, Bulawayo, Abidjan, Africa, Jordan, Nigeria, Canada, Dar es Salaam, Democratic Republic of the Congo, Kolwezi, Pretoria, Brazil, Uganda, Kampala, Iran, Colombia, Ethiopa, Antananarivo, Kazakhstan, Cape Town, Vietnam, Singapore, Zaria, Soweto, Mozambique, Bamako, Tripoli, Maputo, Cyprus, Angola, Mbuji-Mayi, South Africa, Cameroon, Port Elizabeth, Algeria, Houston, Hong Kong, Lubumbashi, Brazzaville, Alexandria, Chine, New Zealand, Trinidad and Tobago, Cairo, United States, Israel, Maiduguri, Ouagadougou, Ghana, Kinshasa, Durban, Dakar, Accra, Mexico, Peru, London, Subra al-Haymah, Turkey, Johannesburg, Freetown, Kuwait, Benin, New York, Douala, Iraq, Lebanon, Egypt, Khartoum, Fez, Indonesia, Ibadan, Qatar, Australia, Addis Ababa, Algiers, Yaoundé, Abu Dhabi, Tunisia, Italy, Harare, Russia, Sudan, Germany. Maiduguri, Maharashtra, Kolwezi, Kerala, Johannesburg, Accra, Jamalpur, Mumbai, Uganda, Khartoum, Puducherry, Pune, Conakry, Manipur, New York, Lucknow, Jordan, Thailand (Bangkok), Cameroon, Nagapattinam, Russia, Kinshasa, Tripura, Durban, Kano, Abu Dhabi, Pretoria, Singapore, Dar es Salaam, Soweto, Baraut, India, Alexandria, Nairobi, Morocco, Brazzaville, Bansberia, Cairo, Bulawayo, Ghana, Delhi, Chennai, Andhra Pradesh, Benin, Kampala, Casablanca, Muktsar, Hong Kong, Addis Ababa, Antananarivo, Algeria, Bundi, Mizoram, Qatar, Bamako, Bhiwadi, Lubumbashi, Mozambique, Maputo, Jaipur, Bangalore, Lebanon, Sadar, Rabat, Angola, Fez, Oman, Lagos, Buxar, Port Harcourt, Colombo, Democratic Republic of the Congo, Subra al-Haymah, Yemen, Ballia, Mogadishu, Douala, Hyderabad, Tadepalligudem, Kolkata, Giza, Ouagadougou, Port Elizabeth, Ibadan, Abidjan, Cape Town, Miryalaguda, Betul, Luanda, Yaoundé, Ethiopa, Ahmedabad, Udgir, Tripoli, Karnataka, Kaduna, Suryapet, Omdurman, Dakar, Mbuji-Mayi, Harare, Surat, Freetown, Benin, Algiers, Ambala, Cyprus, Venezuela, Zaria.